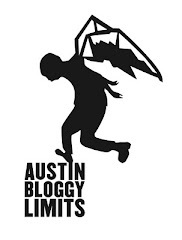 AustinBloggyLimits - An Austin Music Blog: Kings of Leon Rawk! I've been a fan of Kings of Leon ever since I first heard Molly's Chamber years ago. I even had the chance to see them at the Paradise Rock Club in Boston during their Aha Shake Heartbreak tour. Live, these guys are so tight that they managed to tear through their whole set, including encore, in less than an hour. Smoking about a pack of cigarettes a piece all the while. For those of you here in Austin, you can catch the Kings later this month at the Austin City Music Hall. If you're interested you better get tickets fast cause Austin LOVES these guys. When they played during SXSW last spring at Stubb's it was def the event of the week...which is saying a LOT. This time around, they are playing with We Are Scientists and the Stills. So all in all a great line-up and a great show to catch if you can. These guys are VERY popular in the UK, which is why I have all of these live from UK TV vids. Also, because their label disables video embedding :-( But it certainly helps that they sound so good live, and that their records also have a live sound. Even though this song is fairly old now (3 yearsish) I'm posting it cause it's the most well-known song by We Are Scientists and it rocks!